Following Duke-patented vitamin C technology, this breakthrough serum-in-a-gel contains a synergistic antioxidant combination to help protect the delicate eye area from oxidative stress, while targeted actives revive under-eye skin and reduce the appearance of puffiness. A state-of-the-art gelifier enables the proven antioxidant trio to be formulated in solution at an acidic pH within an open matrix delivery system for maximum penetration and efficacy. 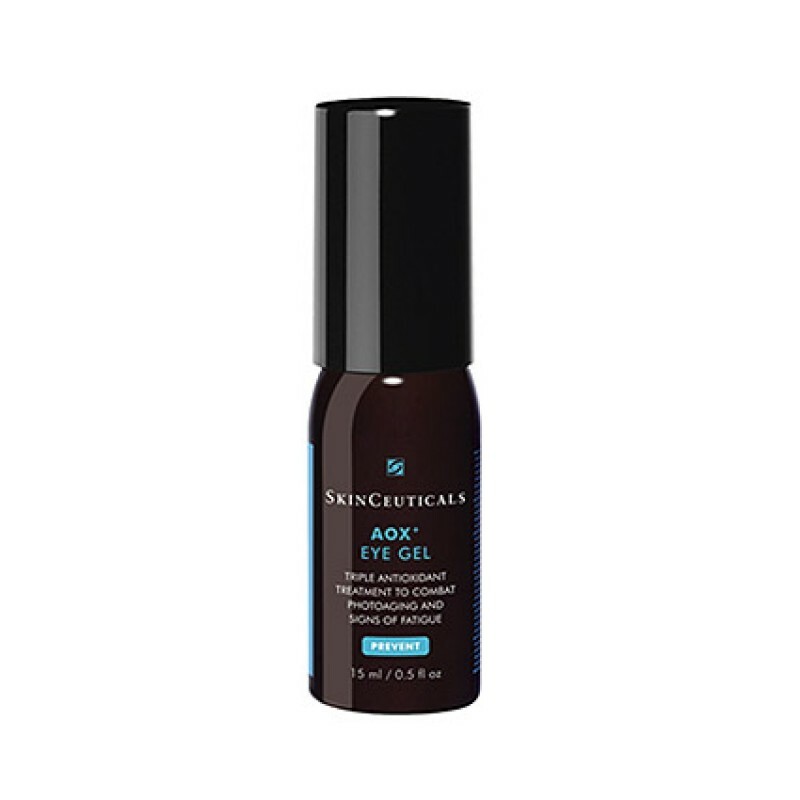 AOX+ Eye Gel prevents signs of aging while correcting existing photodamage. Additionally, ruscus aculeatus increases under-eye circulation to reduce swelling while caffeine improves drainage and congestion of fluids under the eye, further diminishing puffiness. When used daily, this preventive and corrective treatment combats signs of fatigue to restore a fresh, vibrant appearance around the eyes.